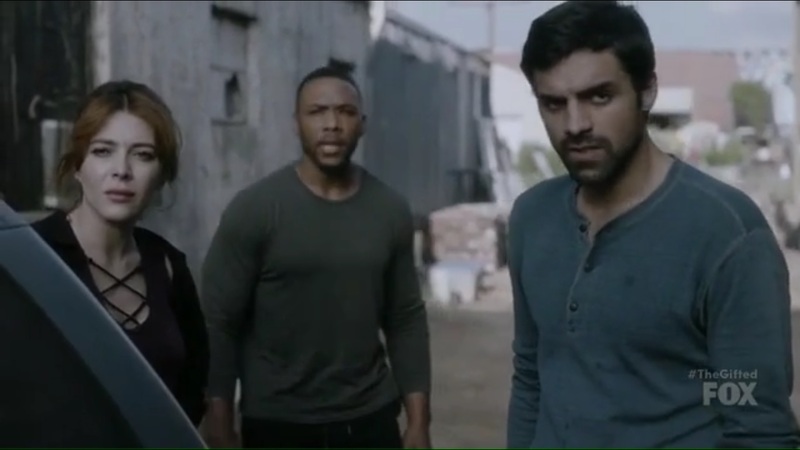 A Look at The Gifted- Season 1, Episode 4: “eXit strategy” | What Else is on Now? 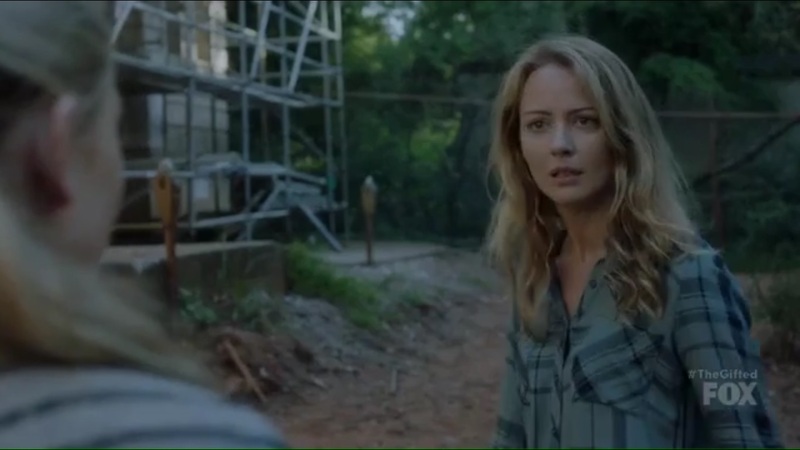 The episode begins two years ago at a Mutant Relocation Facility in Georgia. 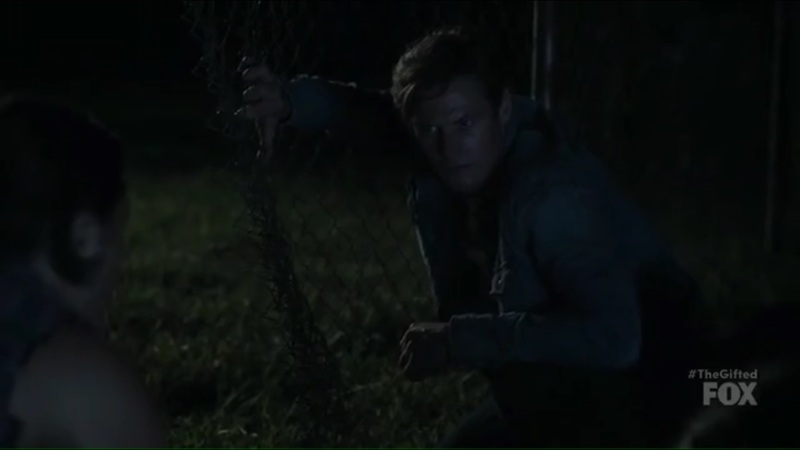 John and, Augustus, AKA Pulse, played by Zach Roerig, stand outside the gate. The plan is to wait for a signal from others who are on the way to the second fence. Augustus hates the name of this facility, knowing what’s really inside, but John reminds him that he was rescued. Gunfire breaks out and the two make a gap in the fence for John and Sage to exit. Augustus offers to buy the others some time, so he heads in and uses his powers to kill the electricity. When he tries to run away, he ends up with a bullet in the back and collapses. John yells out to Augustus, but gets no response, so he’s forced to leave him behind. 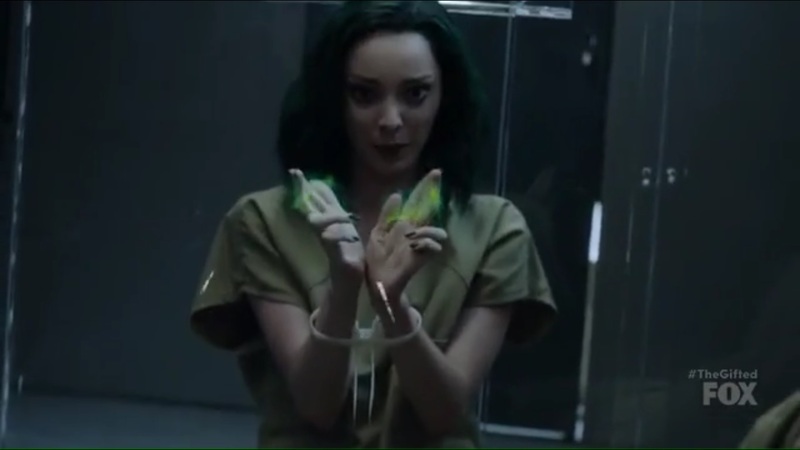 At Sentinel Services in present day, Polaris is brought in to meet her cell mate: Reed Strucker, and they’ll be going to the same prison. Reed wants to work together with Polaris, as he knows and was working with Marcos, which is why he’s here. He explains his situation with his family, though Polaris isn’t willing to work when she learns that Reed almost got Marcos killed. John talks everyone at the underground through the plan to attack Sentinel Services in order to save Reed and Polaris. Sage reminds John that they lost six people last time, but if they do nothing, there’s a good chance they won’t see the others again. 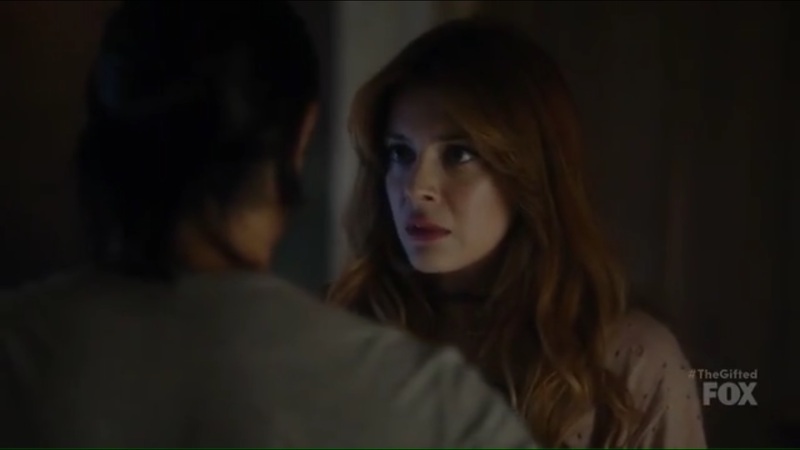 Marcos reminds everyone Lorna has risked her life for everyone else, so it’s time they do the same for her. One by one, the others agree to help. Andy and Lauren talk about the plan amongst themselves, though Andy believes this plan is doomed to fail. Nobody is on their side, and Lauren agrees. This is a huge risk they’re taking. Caitlin tells her kids that sometimes you have to take a risk and hope for the best. As John, Marcos, and Dreamer formulate a plan, Clarice offers to portal in, but Caitlin has another idea. Daniel said that the facility is far away. They’d have to be moved on a plane as a result, so why not get them en route? 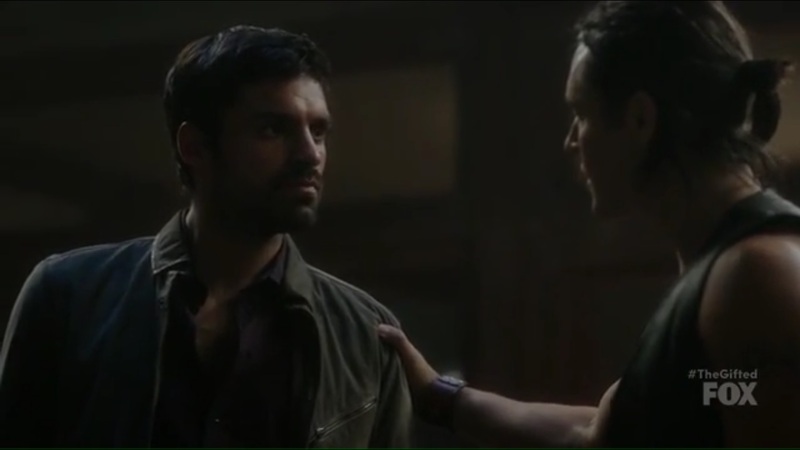 It’s crazy enough to work, but Marcos might know someone in the cartel with connections. Marcos isn’t sure about going back to the cartel, but he’s out of ideas. 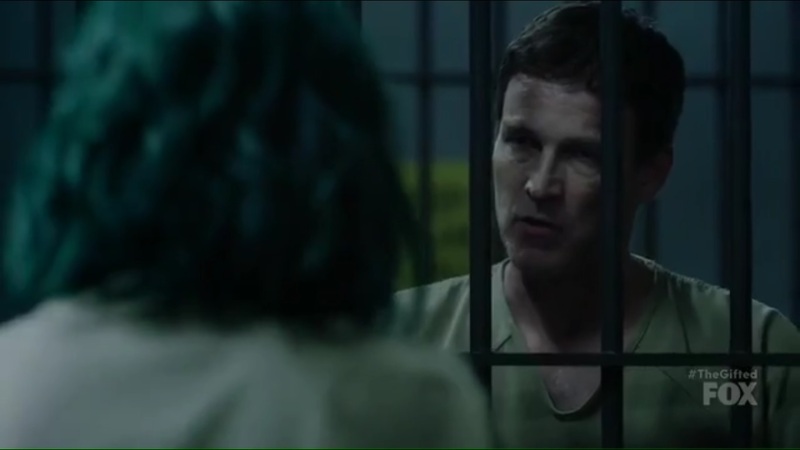 John asks Dreamer if she’s talked to Clarice about what happened, but Dreamer doesn’t feel it’s necessary. 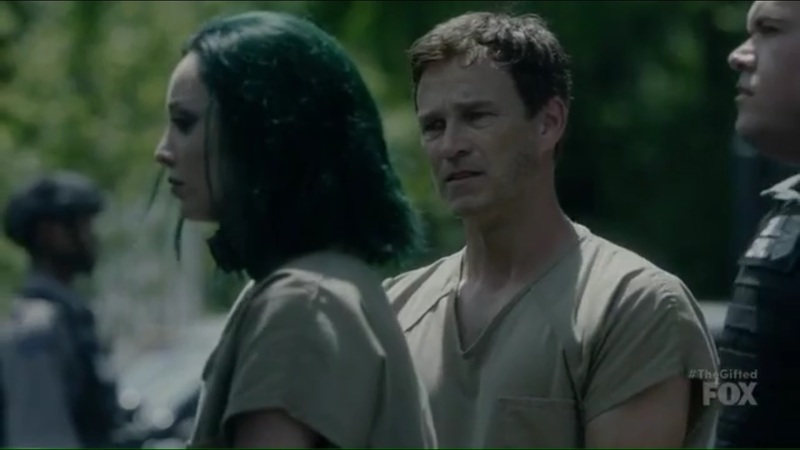 Joh reminds Dreamer that Clarice has a memory that’s not hers, though Dreamer believes it will fade. Plus, she has no idea how Clarice will react. If Clarice leaves, then John can forget about saving the others. Dreamer was desperate and chose the best option. If she had the time, she would’ve asked. Had she said no, no idea about the next choice, but hey, this is a war, in case John forgot. 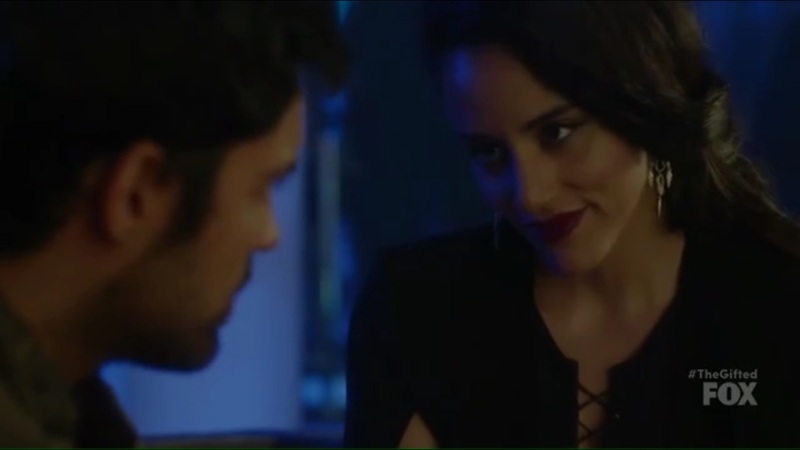 Marcos heads to a bar and reunites with an old friend: Carmen, played by Michelle Veintimilla. Hey, it’s the first Firefly from Gotham. Marcos is here to see Carmen’s father, but he retired, so Carmen is calling the shots. She explains that she the operation, even though she preferred the old location. She pours Marcos a drink to celebrate the return, but Marcos isn’t here to socialize. He tells her about his plan to hit Sentinel Services and the plan to free a former prosecutor and the girl whom Marcos left Carmen for instead. Marcos once came to help with the father, who thought of Marcos as a son. He apologizes for abandoning the family, and Carmen agrees to help an old friend. She offers a drink and asks Marcos if he wants to be her friend again. That evening, Clarice dreams of a hot makeout session with John when she suddenly awakens in the middle of the night. John, meanwhile, calls Marcos, who updates him on the situation and will send the route. He knows that Carmen is playing him, but then Carmen takes his phone and asks why the two of them didn’t work out. They cared about different things, and Carmen cared about her family. An employee whispers to Carmen, who then takes Marcos’ hands and tells him that she needs him. John explains to some of the others that the best place to hit Sentinel Services is along a certain route. Stopping the bus won’t be easy, and they still need a time frame for the convoy. Melting the tires with lasers won’t be subtle and even Clarice using her powers to get inside the bus could be risky. So they need another way to get in the bus. Lauren, listening nearby, goes to Andy and asks if he can break apart a truck like he did with the parking meter. 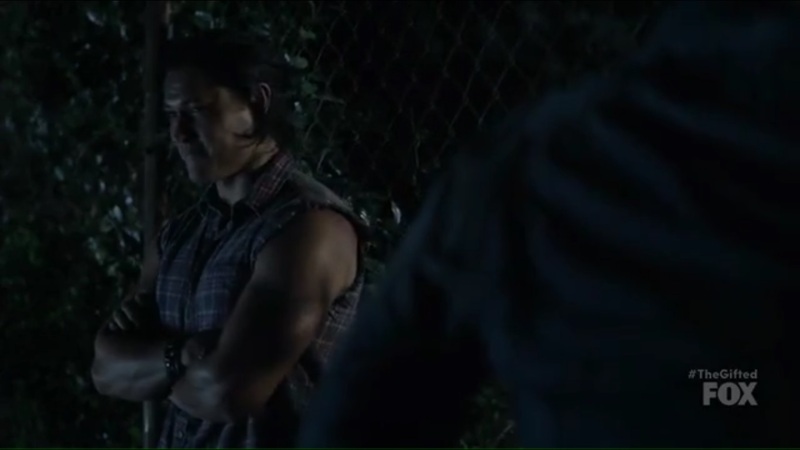 He knows that he could tear the entire truck apart, and Lauren offers to use her powers to focus Andy’s powers. 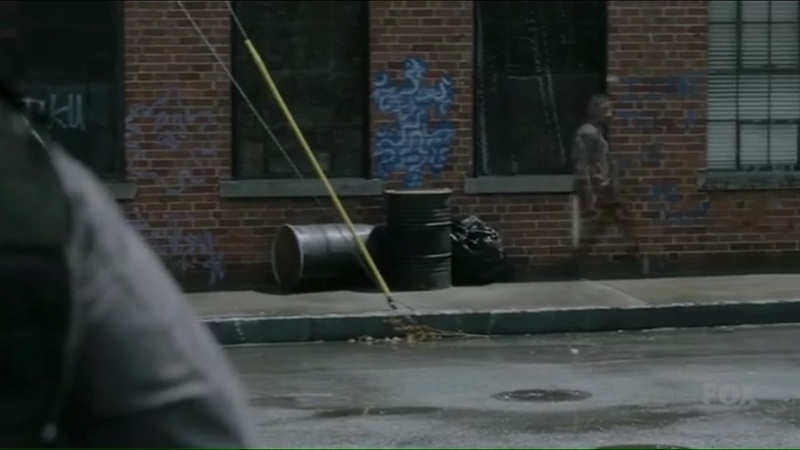 He focuses on a nearby lamp post and the two manage to rip open the light. Well done, kids. Back at Sentinel Services, Reed realizes that he and Polaris probably won’t get along. He said before that during his courtroom days, he was always the prosecutor and the law was clear. If you broke it, that was your fault. He told himself that he was just doing his job, but then he found out that his kids are mutants that never meant to hurt anyone. They were just defending themselves. But they broke the law. With mandatory minimums, they would get at least 10 years. Maybe more. And Reed would’ve made that argument a few days ago before all this happened. He didn’t understand, but he does now. 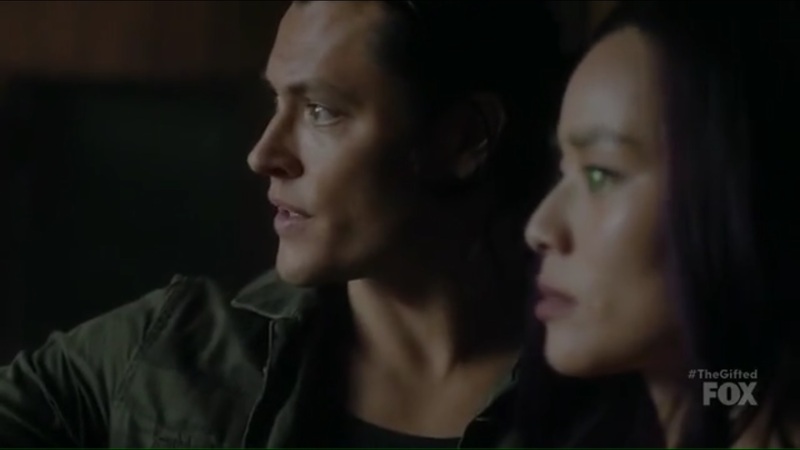 He apologizes, but while Polaris congratulates Reed on realizing he’s the bad guy, she’s unwilling to forgive him for the lives he and his friends have ruined. Polaris has no mercy or forgiveness for Reed. Polaris, you truly are your father’s daughter. 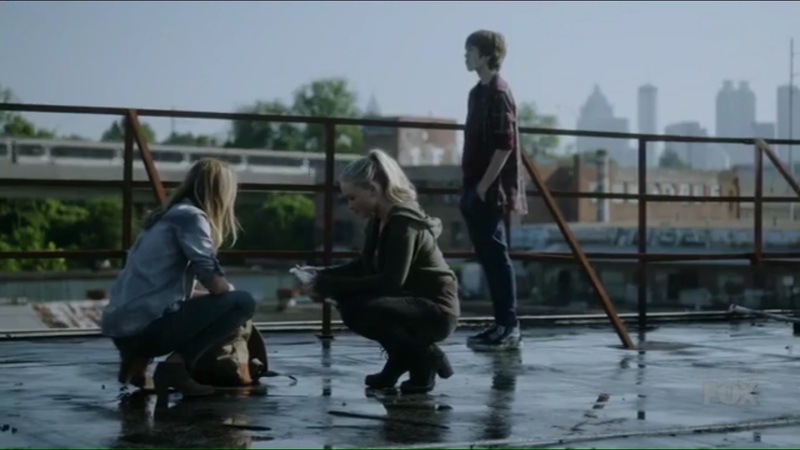 The others find Andy and Lauren getting better with their powers. Caitlin doesn’t want the kids getting involved, but they want to fight. After all, Caitlin one said there are things worth fighting for, and in this case, the kids need to take a risk. Caitlin agrees, but only if the kids aren’t in harm’s way. She eventually relents, but you can tell she’s not happy about it. Carmen brings Marcos to a restrained and beaten man to see if he’s really all that different from her. This man stole two kilos from a distribution center and needs to talk. Marcos says he doesn’t do this sort of thing anymore, but Carmen tells Marcos that from now on, he will do as she asks whenever she calls. The man’s gag is removed. He claims to know nothing. After a moment’s hesitation, Marcos tells the man that his light could blind him forever. If the man wants to spend the rest of his life in the dark, he can. He shines a light long enough until the man confesses that the kilos are in his cousin’s garage. 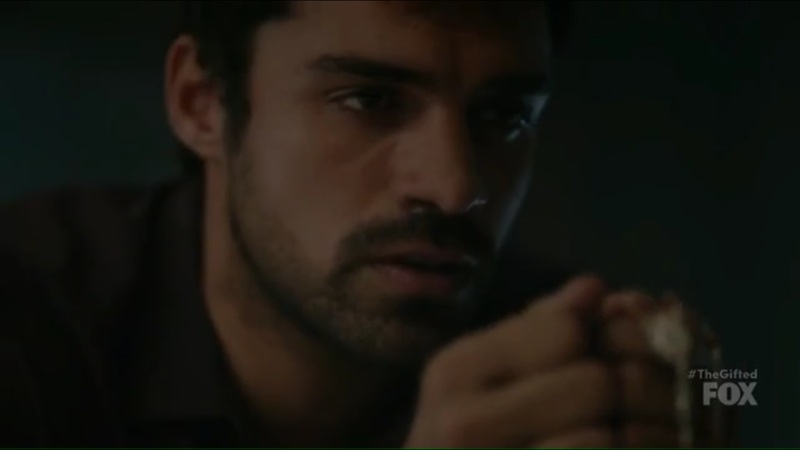 Carmen agrees to give Marcos the information that he needs. 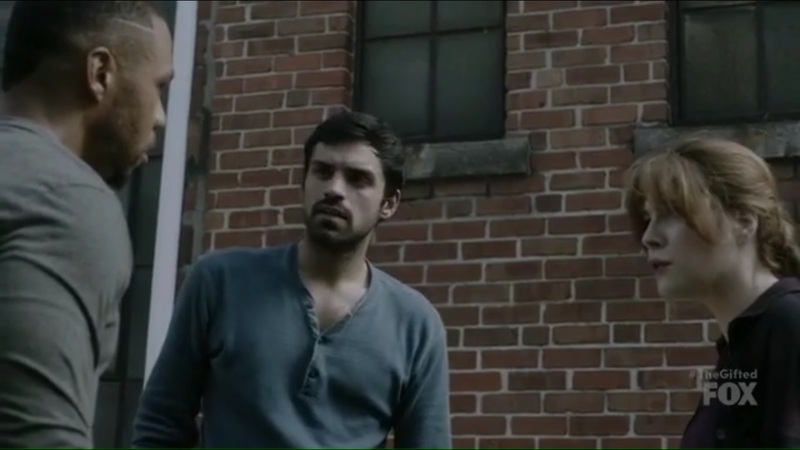 He returns to the underground and tells John about the convoy, but doesn’t go into details about his encounter with Carmen. The night continues as usual, with Clarice still having dreams, Marcos praying, and everyone resting for the big day ahead. The day arrives as Reed and Polaris are loaded up on a transport bus for the journey. The mutants are ready in waiting. Clarice tells John that she hasn’t been sleeping very well. She asks John if it was hard for him at first, and it was, though that’s hard to tell because of how stoic he comes off now. Clarice asks if John ever thought about walking away, but the mission keeps him involved. She then asks about the night they first met and if they went outside, but John says that they didn’t. Andy, Lauren, and Caitlin stand atop their own lookout and wait just as Lauren remembers that today is a football fundraiser and she was supposed to make muffins. 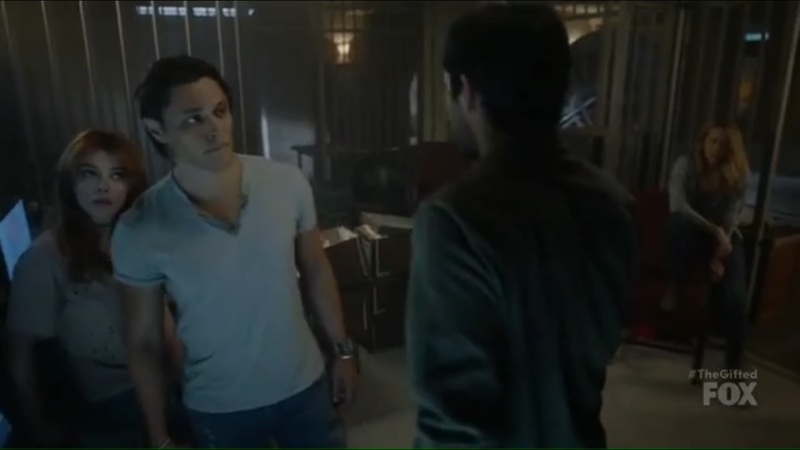 Marcos tells Dreamer and Trader that if this goes wrong, he’s not leaving. He agrees with what Sage said, he had no right dragging them into this. As for him, he’s not leaving without Lorna. Then, Andy spots the convoy headed everyone’s way. Andy can’t use his powers, though. Also, the bus hasn’t stopped. Lauren tries prodding Andy into using his powers, and it manages to work as the two blow a tire out of the bus. The convoy stops. 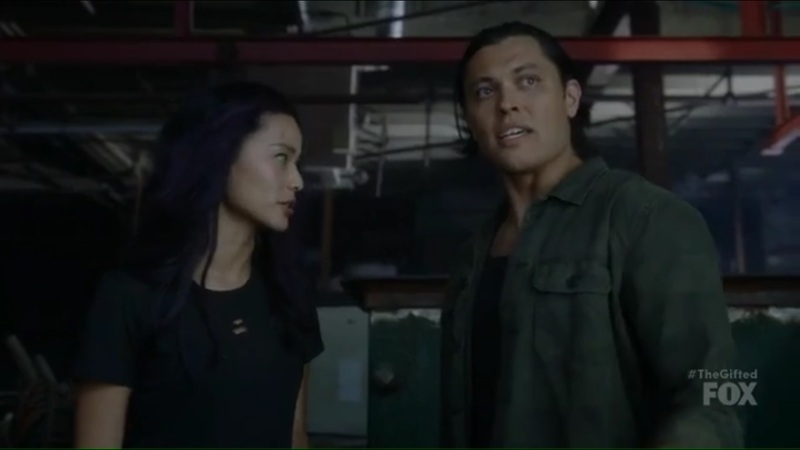 Inside, Reed again asks for Polaris’ help and asks if her hatred for him is more important than giving her child a real life. If they get a chance, they need to take it. Polaris soon agrees to help. Turner orders a lockdown of the surrounding area as more soldiers stream out and move into a defensive position. 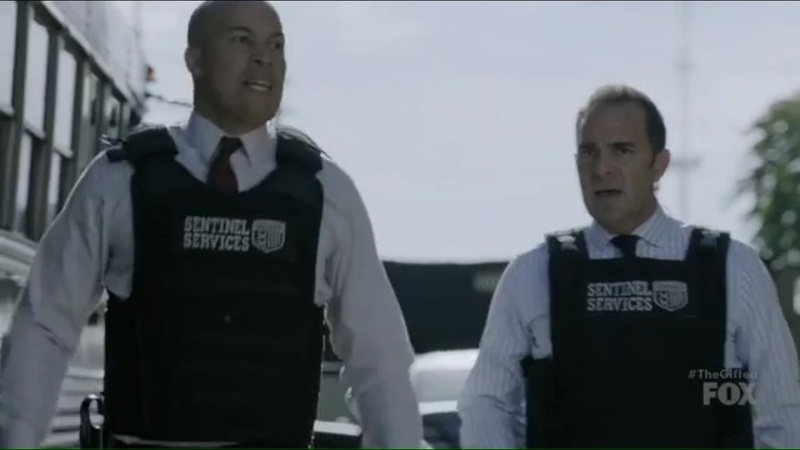 Marcos warns the others to leave since Sentinel Services are searching for them. Trader slips into invisibility and heads into the thick of the madness. John takes Clarice to a point where she can try to use her powers, but something is interfering with her abilities. When John tries to track, he finds that his powers aren’t working either. A soldier spots Trader just as he starts flickering in and out of invisibility, so he’s exposed. And Marcos realizes that his powers also aren’t working. John realizes that only one person could disrupt his powers, and it turns out to be Augustus, who has the power to disrupt systems, shut down electronics, and neutralize mutant powers. John remembers Pulse as his friend who he thought died. He tells Clarice to check on the others. Back outside, Marcos loads a gun and tries to draw some fire while Dreamer runs off to help Trader. 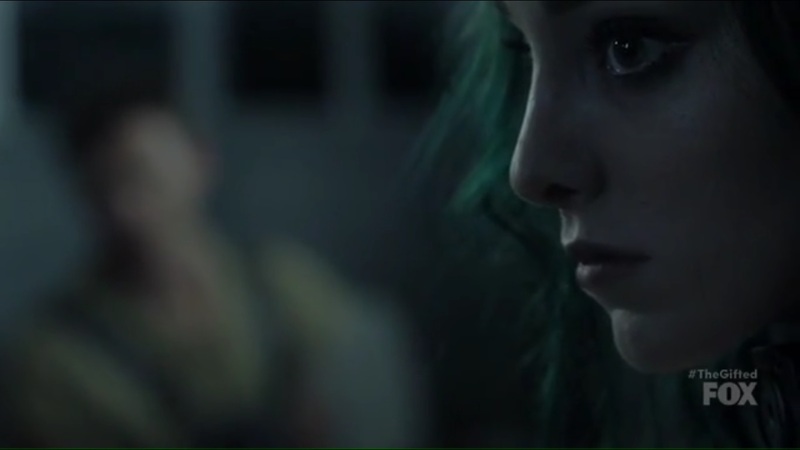 The Struckers go on the run and locate their car, but when Lauren tries to use her powers, nothing happens. Caitlin uses a syringe to incapacitate the soldier and then tells her kids to drive away. She will find Reed and meet them at the headquarters. Inside the transport bus, Polaris feels her powers coming back, but everything inside is made of plastic. 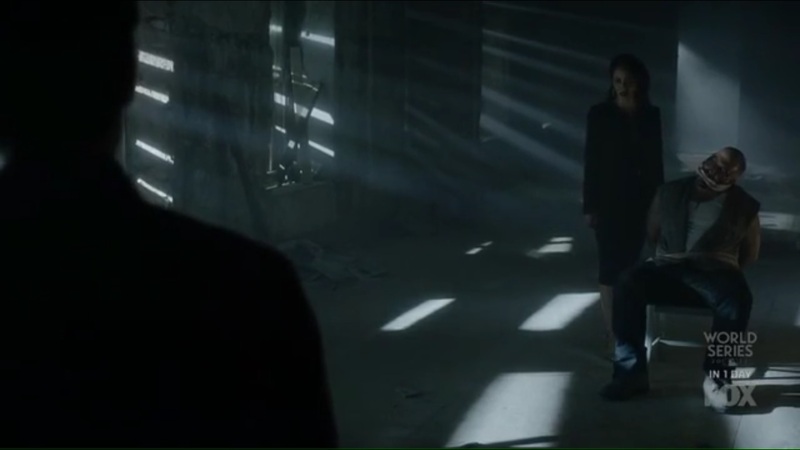 Reed tells Polaris to take the metal screw in his leg, which she does to break the cuffs and attack one of the guards. 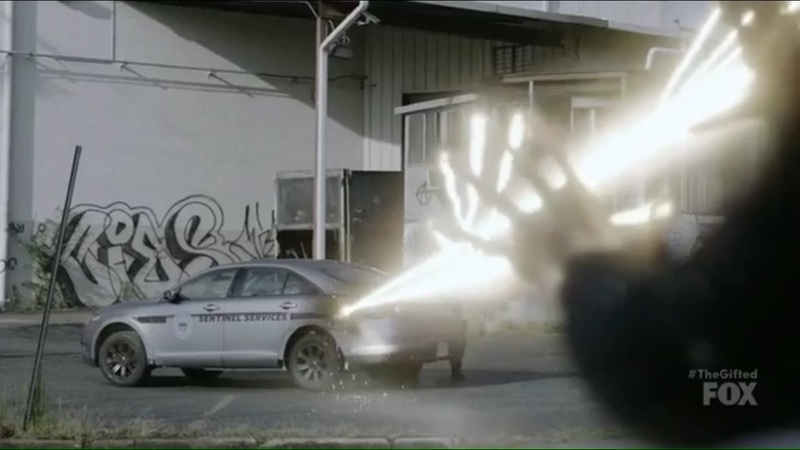 Marcos feels his powers coming back and he creates a beam to blow up one of the Sentinel Services vehicles one of the cars. Blink also feels her powers coming back as she creates a portal for Dreamer to head through. 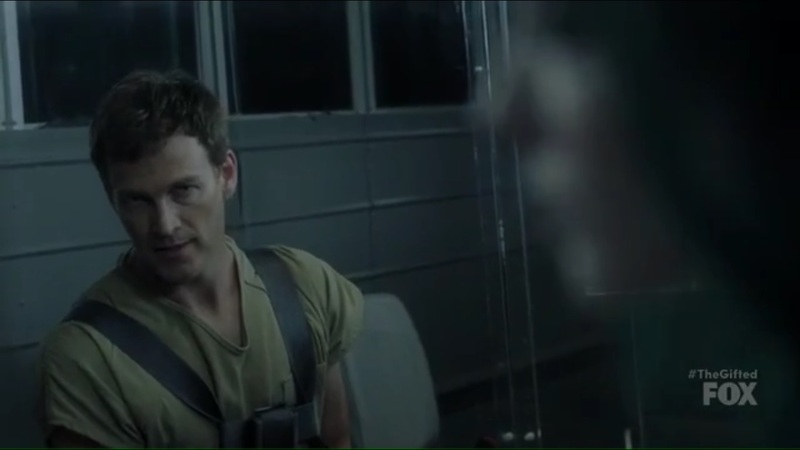 Marcos tells John that he refuses to leave without Polaris, but suddenly, the windows on the transport bus shatter. 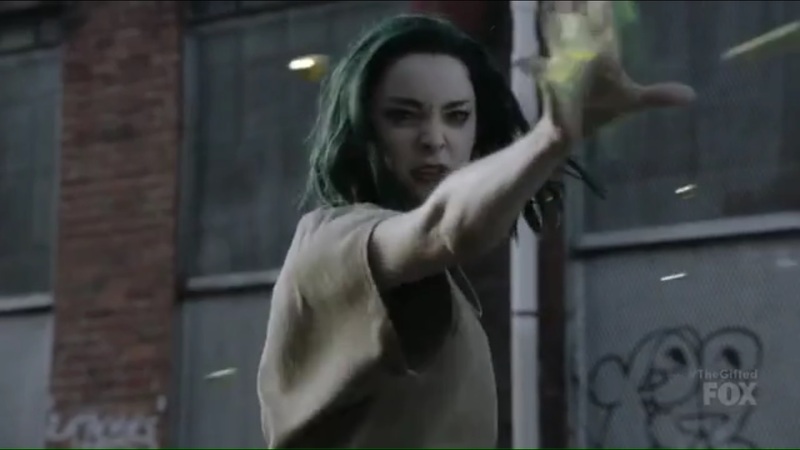 Polaris emerges, stops every bullet fired in her direction, and pulls away every soldier’s gun. 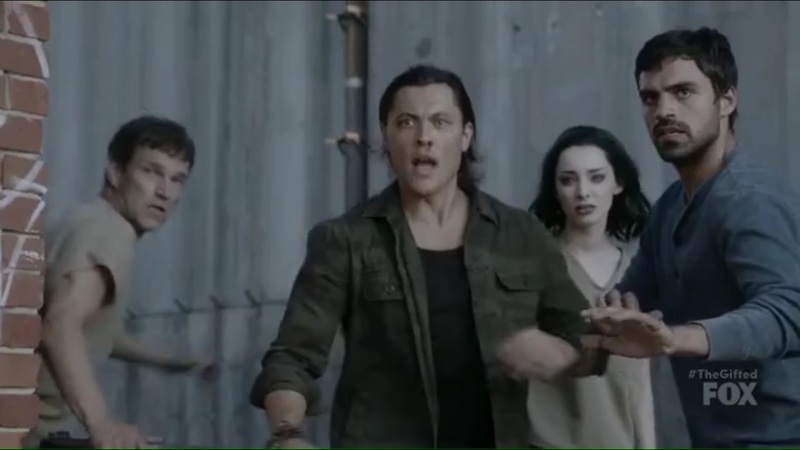 Everyone reunites with Reed and Polaris as they head into a car driven by Caitlin. They all rush into Caitlin’s getaway car as they all escape from the clutches of Officer Turner and Sentinel Services as the episode comes to a close. Turner now wants more than just the underground. Any safe house or sympathizer to the underground is now a target. Wow. 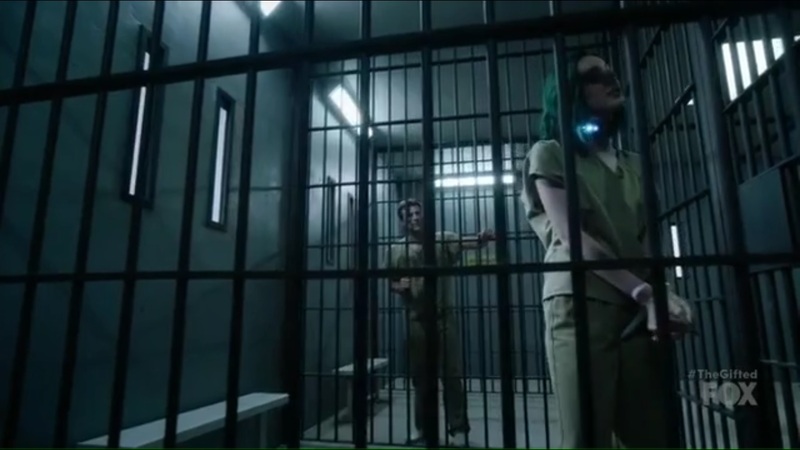 As high as the stakes have been on The Gifted, with the main goal so far being to rescue Lorna and Reed, everything came to a head here in what felt like a season finale. 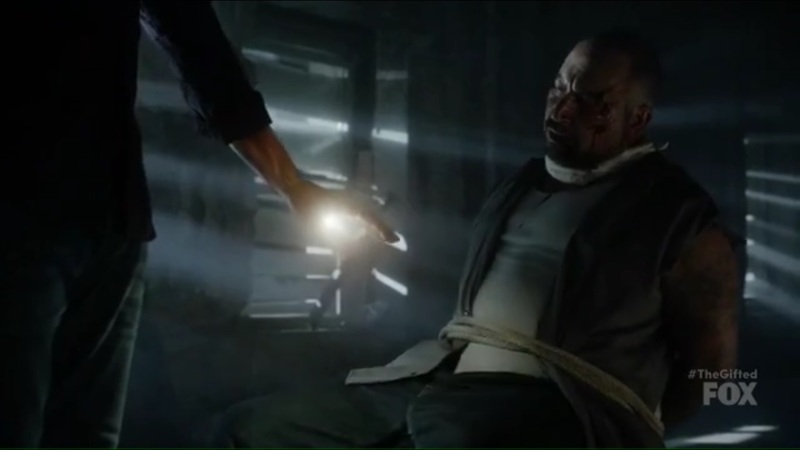 Consider: since Reed was captured by Sentinel Services, the task was locating him and Polaris. Now that’s done and everyone is away from Officer Turner for now, but we know this fight is far from finished. But I didn’t expect the stakes to escalate as soon as they did, which made the last few minutes of this episode a real treat to watch, but also kept me on my toes because there was no guarantee that everything would go according to plan. And with, pardon the pun, X-Factors like Pulse in the mix, there was always the possibility that something could go wrong. This, more than previous outings, felt like a team affair with the underground and Strucker family coming together to take on their common enemy in Sentinel Services. And there was just as much internal conflict on their side as there was external with Caitlin objecting to her kids getting involved, Blink’s ongoing dreams about John, or Marcos heading to a darker place for the sake of getting information. This was more than a rescue mission. It gave the underground a real challenge through them working together not just against Sentinel Services, who didn’t bring their Sentinel Spiders, but another fellow mutant who could neuter their powers and is now working for or in the hands of the enemy. In a way, it’s no different than Leech in X-Men: The Last Stand or Stryker using his son in X-2. 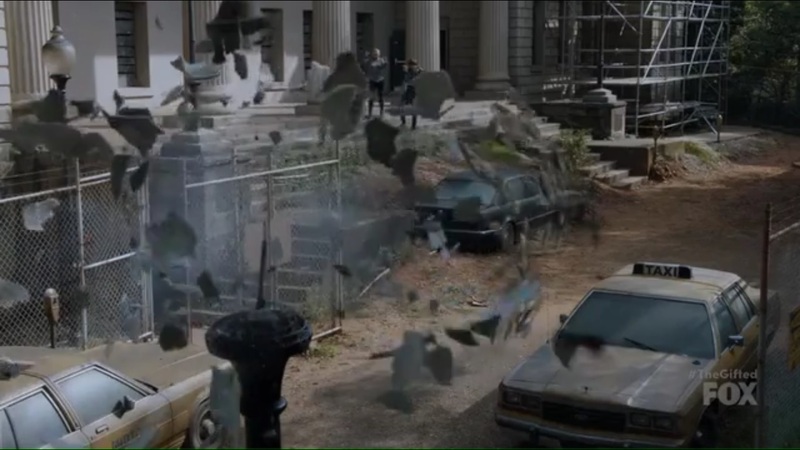 But going off of that, the fact that the mutants all escape is a major setback for Officer Turner. Not just that the underground escaped again, but he also lost two valuable prisoners. And given his hatred for mutants, he’ll no doubt be even more determined to make up for this huge loss. 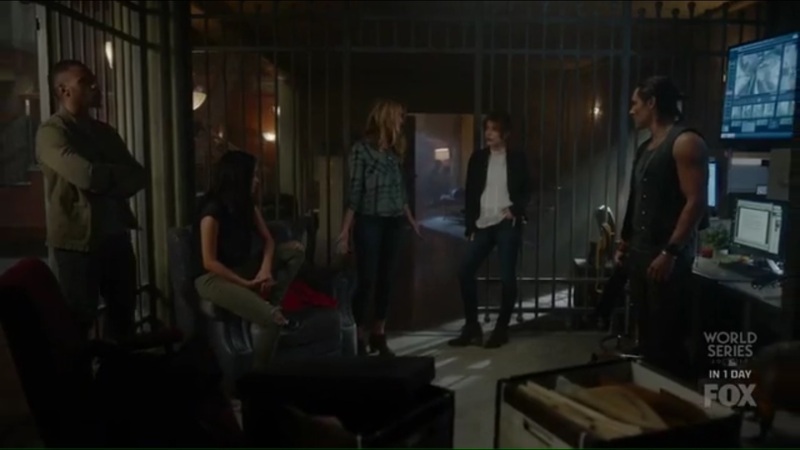 And despite Reed’s changing attitude, Turner still won’t see any difference between the underground and the Strucker kids. For Reed and Polaris, this episode was a good moment for their characters to grow. We’ve seen Reed’s evolving attitude towards mutants and how he regrets the role he’s played, but that’s mostly because now his family is involved and his own children are two mutants no different than the ones he aided in putting away. That doesn’t excuse what he’s done and he knows that, but he is showing a shift. After all, last time he sacrificed himself so Sheila and Dominique could reach their destination safely. Plus, here, he went as far as letting Polaris rip out the screws in his knee. Just typing that makes me cringe, but a move like that is selfless on Reed’s part and proof of his growing desire to help mutants by any means. But again, this doesn’t excuse his past actions and even though Polaris does eventually agree to work with him, I love how initially, she does not pull her punches and sees no difference between Reed and Sentinel Services. And she’s not wrong. Her anger is justified and you can see how she hated Reed the same way that Turner hates all mutants. A change of heart doesn’t mean you can wipe the slate clean and start over, so while the two did soon join forces, it would’ve been out of character for Polaris to suddenly forgive Reed for all he’s done, even with his change of heart. 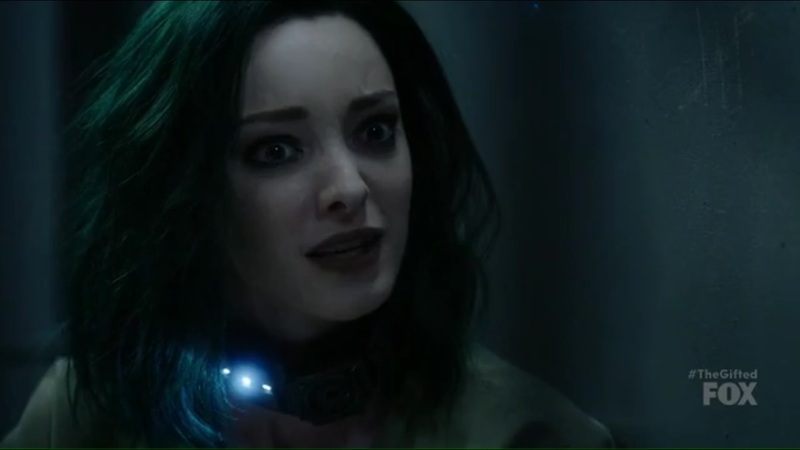 But Polaris had no room for forgiveness in her heart and no regrets about treating Reed so coldly. She truly is her father’s daughter and continues to be the best part of the show. While I wish we’d gotten to see more of her in action once she and Reed broke free, the episode was just about over at that point, so we couldn’t get a big display of powers. But it was enough. It was also great for Andy and Lauren to step up and volunteer to help the underground. 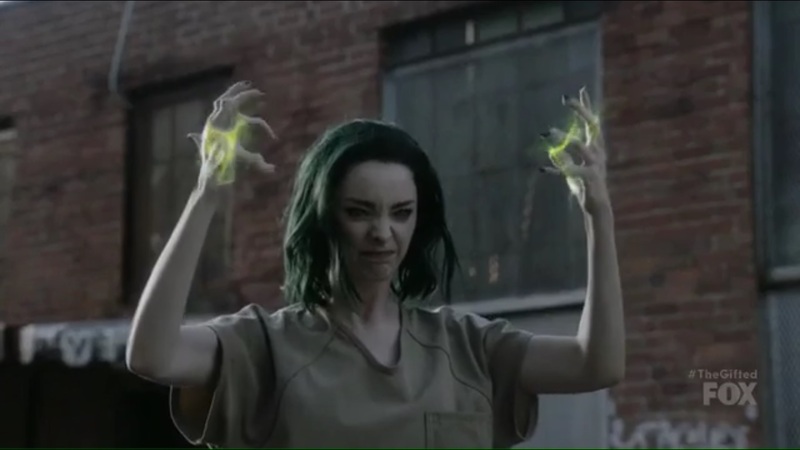 More than that, Lauren took the initiative to engage Andy so the two could practice using their powers together. When united, the two make for a great combination, further hinting at their actual origin, but for the purposes of the story here, I like that they chose to be more involved and not sit on the sidelines during this mission. 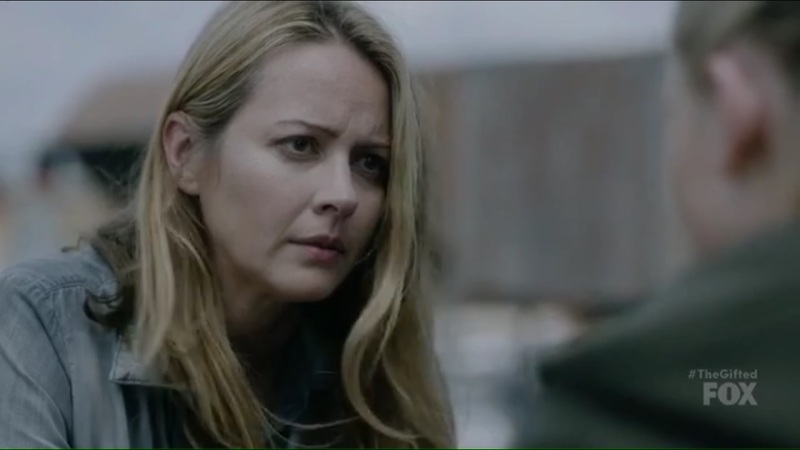 Of course that wouldn’t sit well with Caitlin and Amy Acker was great in showing real concern and frustration with Lauren and Andy, but Caitlin did say “rX” that it’s time they joined the fight that others have been fighting for so long. It’s easy to understand her concern. She’s already lost her husband and doesn’t want to lose her kids, but she’s seen what they can do. At some point, she has to accept that they’re going to be more involved with this fight and she can’t stop that. So yes, Caitlin, Lauren is using your own words against you. And this wasn’t from a place of anger. Lauren and Andy have great abilities, but they won’t improve or be of any use if they’re not given the chance to try, even if they mess up. Better to give it an effort than just do nothing. Blink’s wet dreams-I mean dreams, about John could make for some interesting drama if something is done with it. Right now, it’s here mostly to conflict John, and Dreamer by extension since neither of them has informed Clarice of what happened. And I don’t see why not. They understood the risk, but not telling Clarice the truth will just make the eventual reveal all the more awkward. Speaking of John, I hope we learn more about his past friendship with Pulse. 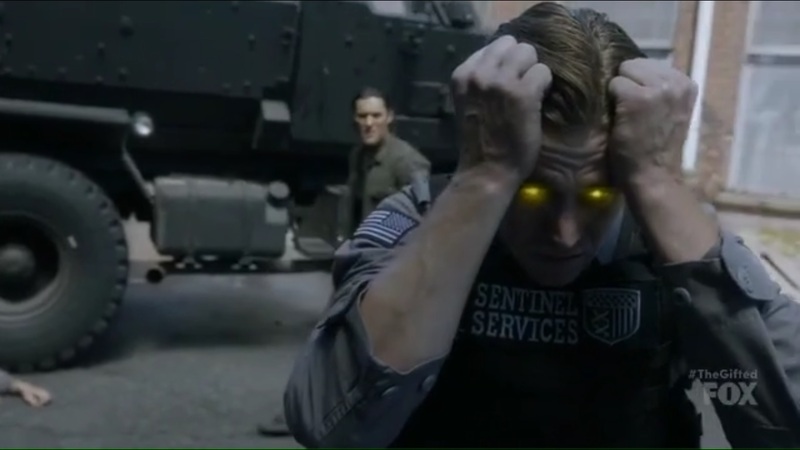 The fact that Pulse was assumed dead, but is now under Sentinel Services’ control should’ve been a bigger deal than it was, but with so much going on- and Pulse looking like he was brainwashed or hypnotized- I can forgive the episode for not spending a lot of time on it. 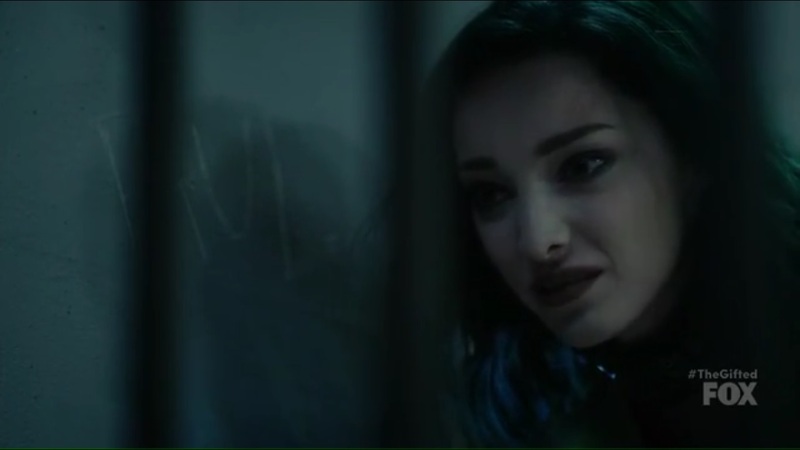 But again, the idea of a mutant being used against the underground is a concept worth exploring and it’s made all the more personal by it being someone that the underground knows, albeit has never mentioned. 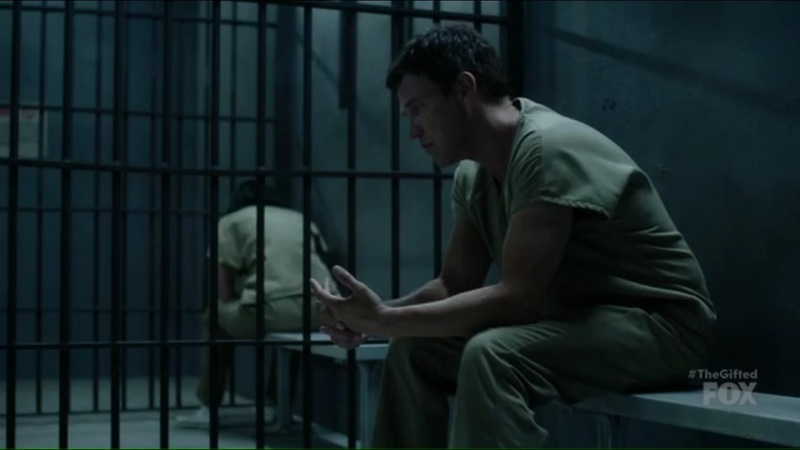 Another big deal was Marcos going to Carmen for help, not just because of their past associations coming to light, but Marcos went to a dark place when Carmen asked him to interrogate her prisoner. Makes me wonder if there’s a shadier side to Marcos that we’ve yet to see, though him praying about it afterward does show his remorse. And now that he owes Carmen, he can’t keep this secret from the others forever. 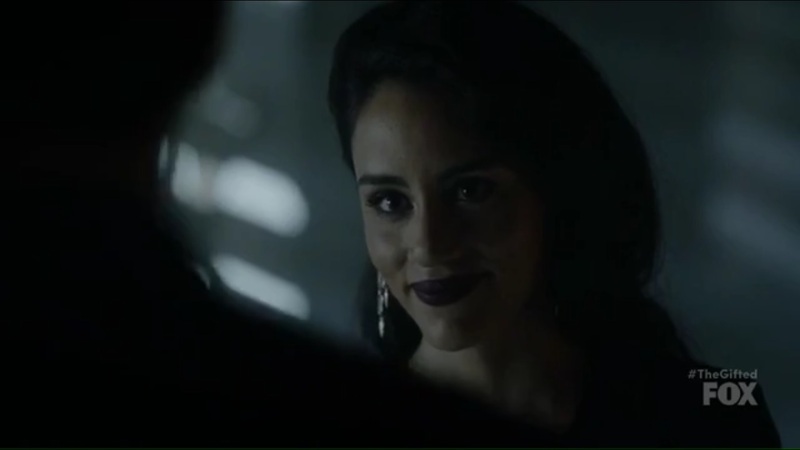 Side-note, Michelle Veintimilla, after Natalie Alyn Lind and Jamie Chung, is now the third person to make the jump from Gotham to The Gifted. Who could be next, I wonder? “eXit strategy” had all the makings of a season finale to it now that everyone has been reunited. But the conflict is far from over and Officer Turner isn’t going to just give up here. 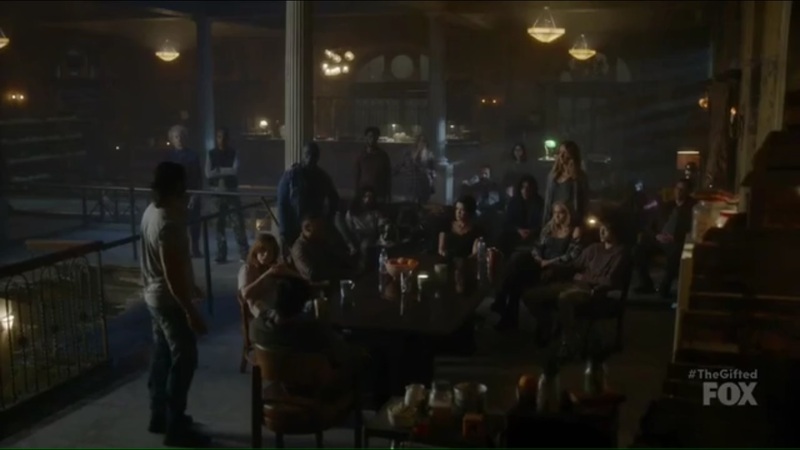 The episode delivered on the character development fronts for most of the characters involved and gave us a great showdown towards the end that culminated in the mutant underground winning the day. For now. 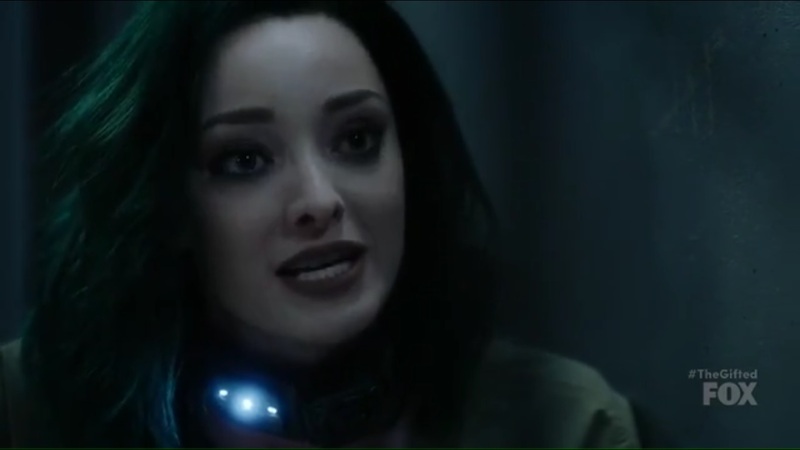 This entry was posted in The Gifted and tagged Amy Acker, Andy Strucker, Augustus, Blair Redford, Blink, Caitlin Strucker, Clarice Ferguson, Clarice Fong, Coby Bell, Dreamer, Eclipse, Elena Satine, Emma Dumont, FOX, Hayley Lovitt, Jace Turner, Jamie Chung, Jermaine Rivers, John Proudstar, Karen Gaviola, Lauren Strucker, Lorna Dane, Marcie Ulin, Marcos Diaz, Matt Doman, Matt Nix, Meredith Lavender, Michelle Veintimilla, Natalie Alyn Lind, Percy Hynes White, Polaris, Pulse, Reed Strucker, Sage, Sean Teale, Shatter, SS McCanley, Stephen Moyer, The Gifted, Thunderbird, X-Men, Zach Roerig by omarid513. Bookmark the permalink.